Camp Chef's 16 inch and 20 inch Lumberjack Skillets are perfect for tackling a feast fit for even the biggest appetite. Even Paul Bunyan would enjoy a breakfast feast prepared on this item. 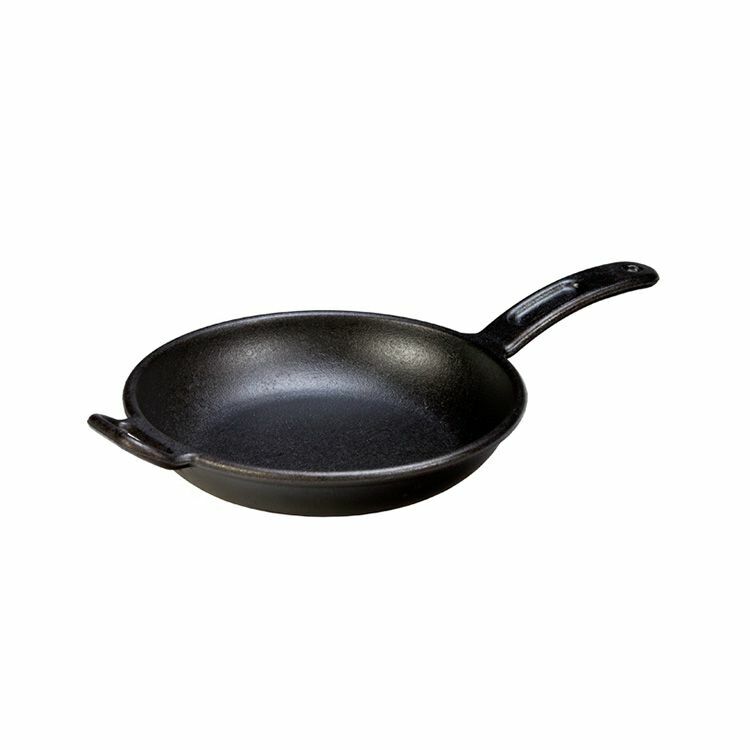 Steel skillet features deepdish sides and a thin patina for easy, non-stick cooking. A wide handle gives extra stability and support to move the skillet as needed. Black, seasoned finish. When using the Lumberjack Skillet, try holding it with your front palm resting under the handle and your other palm on the topside near the end of the handle. 10 inch Pro-Logic Skillet Since 1896, the Lodge family has been casting premium iron cookware at our Tennessee foundry. As the sole American manufacturer of cast iron cookware, we are proud to carry on the legacy started by our great grandfather Joseph Lodge. We don`t just make products; we make heirlooms that bring people together for generations. At home in the backyard, the backwoods, or the ballgame. Brutally tough for decades of cooking. 10 inch Pro-Logic Skillet is rated 4.8 out of 5 by 104. Rated 4 out of 5 by rf from The skillet meets all expectations for preparing food. The weight... The skillet meets all expectations for preparing food. The weight is more than anticipated limiting its use, but this can’t be helped. Rated 5 out of 5 by Dolores from It is really very nice as it is easy to clean, cooks great on top of stove as well as in oven. I... It is really very nice as it is easy to clean, cooks great on top of stove as well as in oven. It is a little heavy for my wife to handle when it is full of food, but she finds it easy to clean. Rated 4 out of 5 by Jim from Years ago the inside of cast iron cook ware was... Years ago the inside of cast iron cook ware was milled smooth for easier cleaning. This skillet is rough finished inside and out. However, it is smooth enough that repeated use will make it even easier to clean. Best made American cookware available.